From the late nineteenth century until the end of World War II, Japan's pan-Asian imperial ambitions were actualized through empire building and colonization. Beginning with Taiwan in 1895, Japan's imperial territories eventually included Sakhalin, Korea, current-day Liaodong Province, Manchuria, and the South Pacific Islands. 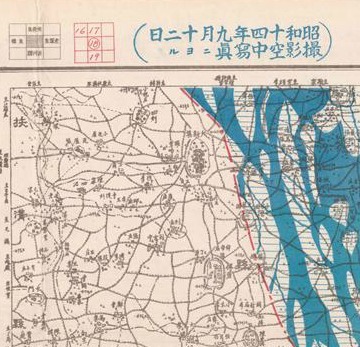 Imperialism required the development of maps called gaihozu (外邦図). This exhibit showcases a few examples from our gaihozu map collection which consists of approximately hundred sheets of gaihozu and two thousand sheets of naikokuzu (内国図), domestic Japanese maps. Following the war, these maps became the target of confiscation by the U.S. Army Map Service (AMS). Surplus maps were eventually transferred to the Library Congress via the Depository Program and finally redistributed to universities all over the United States, including University of Washington.